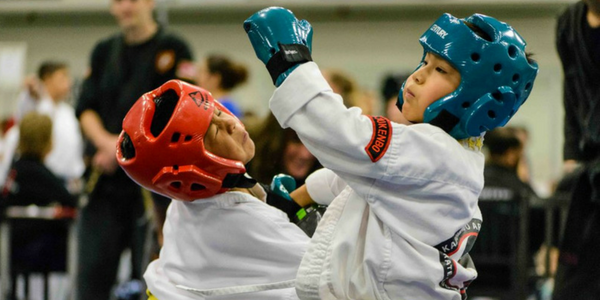 We believe that sparring plays a vital role in martial arts because it allows students to practice their techniques against a live moving target. Sparring is great training for stamina and resistance and the back-and-forth action mimics a more realistic life situation. We keep sparring friendly and controlled so that everyone can learn from each other, gain confidence and improve his/her fitness level. During sparring week, please allow some extra time and arrive to class early to get your sparring gear on. We have a limited amount of gear available for those students who do not have their own. They are ready on a first-come, first-served basis. Our administrative staff and instructors will help students get their gear on.